Topic: AIQUEOUS is making it easier for water utilities and districts to run their water conservation programs. The company's WaterWays® software has reduced program administration time by 50 percent, helping staff spend more time on the program (rather than in the office). At this month's meeting, Jonathan Kleinman, President of AIQUEOUS, will highlight several applications of data-driven water conservation software. 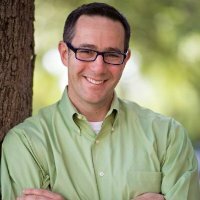 About the Speaker: Jonathan Kleinman is the President of AIQUEOUS, an Austin-based company using software to modernize utility operations. Mr. Kleinman has 20 years of experience in the water and energy sectors, including environmental engineering positions at US EPA Office of Water, SAIC, Environmental Control Technologies, and Quantum Compliance Systems. Mr. Kleinman also served as the Vice President of Policy, Design and Evaluation at CLEAResult, North America's largest energy efficiency program implementation company. Mr. Kleinman holds a B.S. in Mechanical Engineering and a B.A. in Environmental Policy from Cornell University. He also holds a M.S. in Environmental Engineering and M.S. in Technology and Policy from the Massachusetts Institute of Technology. Registration for this event is not necessary.